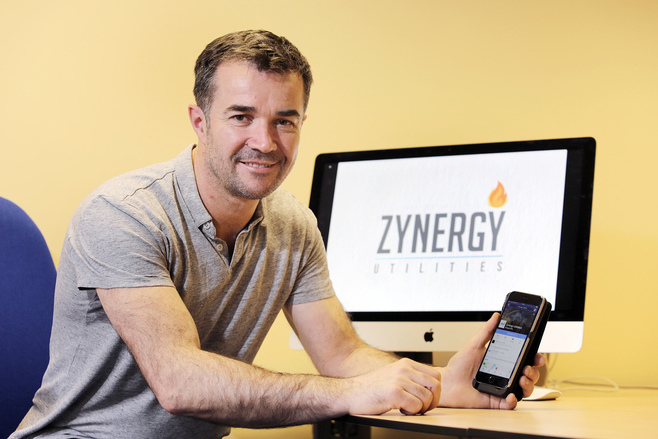 New start-up company Zynergy Utilities takes the hassle out of dealing with energy companies and finds the best business utilities deal available for their clients. It also helps companies to reduce their carbon footprint, secure grants and funding and provides energy comparisons. Less than six months old, the company has already seen a huge demand for its services and includes clients such as hotels, bars and restaurants, schools and community centres. A team of three office-based staff and seven field engineers is headed up by director Mike Dodds who saw a gap in the market and has ambitious growth plans. He said, “Although still in its infancy, the company has already got off to a great start and we are looking forward to growing the business here at The Hub. The location of this centre, close to the A1 and A19, is perfect for our staff and engineers who need to travel around the region and further afield to meet clients. The company, which works with all of the big six energy suppliers including a further 20 smaller suppliers, is already on target to save £3 million worth of savings for their customers in the first year and will be opening a telesales centre operating from The Hub by the end of the year. This is expected to create a further ten new jobs including apprenticeships and they hope to eventually become a licensed provider of gas and power in the domestic market. Jillian Coleman, Centre Manager at The Hub, said: “It’s great to see new start-ups such as Zynergy Utilities choose to locate their business here at The Hub. We have fantastic facilities on site and offer the flexibility for businesses to grow and expand without having to outgrow their existing premises and then look to move on. The Hub is situated in three acres of development land, spread over two floors and consists of 17 modern, air-conditioned offices with a provision for meeting space, conference facilities as well as help and advice to start up and established businesses. Located less than two minutes’ drive from the A1 and A19, the centre provides businesses with road access to major regional towns and cities including Gateshead and Newcastle in the North to Durham, Darlington, Newton Aycliffe and further afield in the south. Offices at The Hub range from 150sq.ft. to 1,000sq.ft.